Oppo R17 Images Leaked on TENAA - Playfuldroid! PBEM00 and PBET00 are the new Oppo models that have been certified by TENAA agency in China. The PBEM00 and PBET00 are speculated to be variants of the upcoming Oppo R17 smartphone. The company is also expected to launch Oppo R17 Pro alongside the R17. However, the smartphone is yet to receive certification from TENAA. The images of Oppo R17 has revealed that it will be equipped with an in-screen fingerprint scanner as there is no rear-mounted fingerprint sensor. Also, the back panel is fitted with a vertical dual camera setup. At the front is a display that features a small-sized notch. It appears like the same waterdrop notch design like the Oppo F9 / F9 Pro handset. As mentioned above the TENAA listing of the OPPO PBEM00 / PBET00 contain information on their specs. Both the devices measure 157.5 x 74.9 x 7.5 and they feature a display of 6.4 inches. A 3,415mAh battery is present on both smartphones. 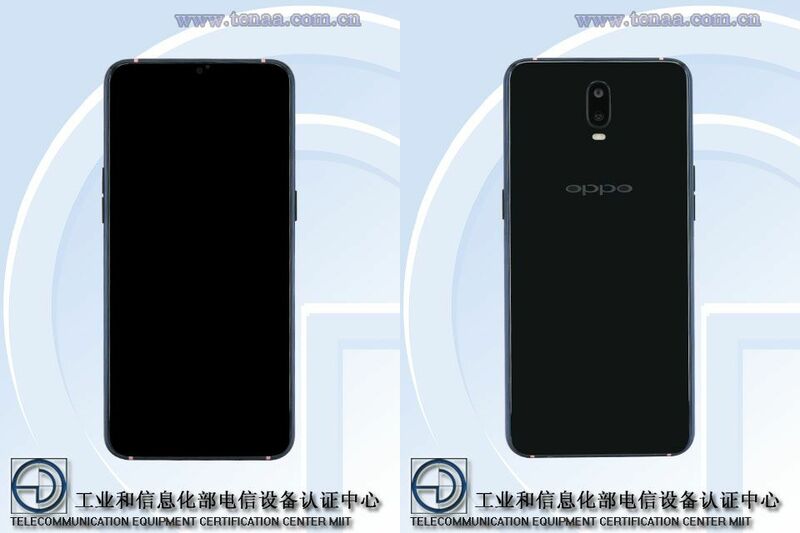 These specs suggest PBEM00 and PBET00 are variants of the upcoming Oppo R17. The R17 Pro is rumored to be an advanced version of R17 as it is expected to be feature 8 GB or 10 GB of RAM and TOF 3D sensing for 3D facial recognition. The R17 and R17 Pro are also expected to feature 20W fast charging, Snapdragon 710 and Gorilla Glass 6 protection.